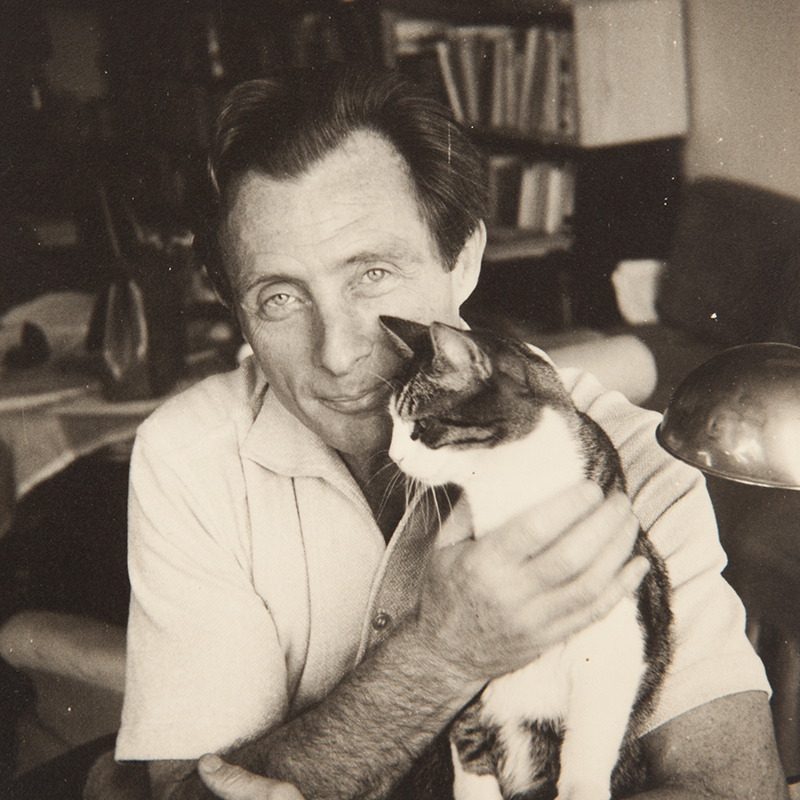 Traugott Fuchs, a renowned philologist, painter, poet, teacher and musician, was born in 1906 as a son of a Protestant priest in Lohr, a small village in the Alsace-Lorraine region. He pursued his higher education in Berlin, Heidelberg, Marburg and Cologne, where he studied Romance languages and literature, art history, philosophy and pedagogy. Fuchs was a student of philosopher Karl Jaspers, pedagogist Eduard Spranger and literary historian Friedrich Gundolf. His meeting with Leo Spitzer, a Professor of Romance Languages and Literature in Marburg, constitutes a milestone in his life. In the early 1930s, Spitzer was among the Jewish scholars who were banned from teaching. As his promising assistant, Fuchs protested and struggled against racist politics which led to his investigation by the Nazi regime in Germany. In 1934, Fuchs came to İstanbul at the invitation of Spitzer, who had escaped from Germany and taken refuge in Turkey by that time. Subsequently, he began to work at the School of Foreign Languages, which was established at İstanbul University under the chairmanship of Spitzer. After 1943 Fuchs also gave lectures on German and French languages and literature at Robert College, where he was appointed on the advice of Erich Auerbach. Fuchs completed his doctoral dissertation the same year and received his supervisor Spitzer’s approval, but before his official defence a fire broke out in Fuchs’ house and destroyed the document. Fuchs was amongst the German immigrants with papers who were interned by the İnönü goverment at Çorum during WWII and he lived for a period of 18 months in this city which inspired him in his studies and works. After leaving İstanbul University in 1978, he began working at Boğaziçi University, where he gave lectures until 1983. Fuchs was not only an academic and intellectual of significant renown but also a talented artist who touched the lives of many people who had the chance to meet him. When he died in 1997, he was buried in the Protestant cemetery in İstanbul. Traugott Fuchs had entrusted his archive to his colleague from Boğaziçi Üniversity, Prof. Dr. Süheyla Artemel, and wished that it would be opened for the use of students and researchers in Turkey. 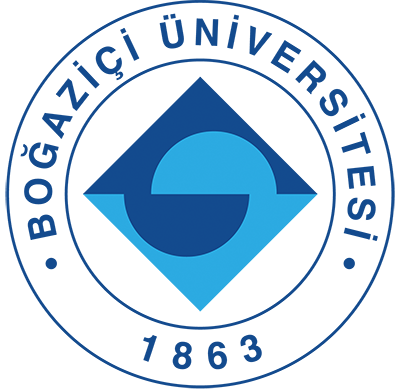 In 2006, with the initiative of Prof. Dr. Selçuk Esenbel and Prof. Dr. Süheyla Artemel, the Traugott Fuchs Cultural and Historical Heritage Archive was founded. 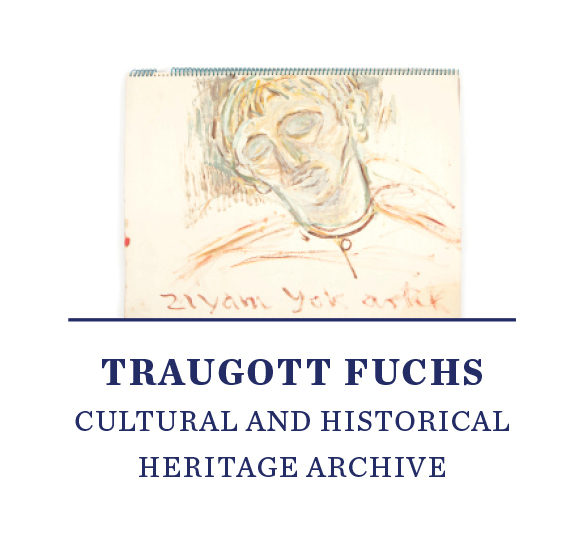 In the same year, under the guidance of Prof. Selçuk Esenbel, Suzan Kalaycı and Gerald Wiemers undertook the project of archiving the “Traugott Fuchs Collection”, thus producing a detailed inventory. Besides more than 5000 pieces of correspondence Fuchs wrote between 1934 and his death, unpublished translations, memoirs, lecture and travel notes, the archive includes the “Günaydın Collection”, which reflects Turkey’s political and cultural milieu from the 1970s onwards via Fuchs’ writings on the Günaydın newspaper. 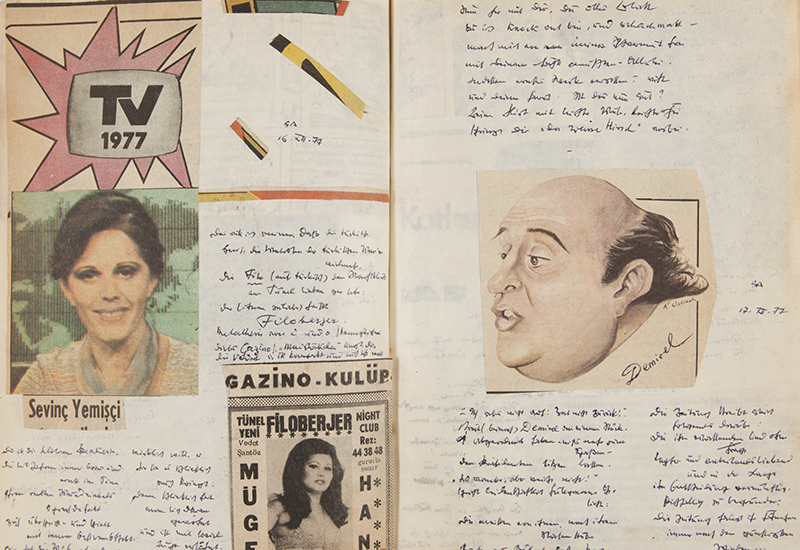 This archive is comprised of a special library focusing mostly on Romantic and Modern periods of German literature, over 200 unpublished poems, water and oil paintings with sociological significance, and over 5000 sketches. The Fuchs Archive offers a valuable contribution to the study of German immigrant history and “heimatlos” diasporic intellectuals, who played an important role in shaping the history of international intellectual life and thought during and after the Second World War. The archive includes documents in Turkish, German, French, Spanish, Italian and Latin.